After shooting with both the A7 and the A7R side-by-side, we'd be hard-pushed to choose between them, as both are remarkable cameras in their own right. On paper at least the A7 should offer faster auto-focusing and less noise at high ISOs than the A7R, but in reality there's not a big enough difference between the two cameras in either regard. Instead we'd choose the A7 instead of the A7R because it's significantly cheaper, it produces more manageable file sizes, has a higher flash sync speed, slightly faster burst shooting and a quieter shutter release. On the other hand, the A7R's incredible amount of detail due to the lack of an optical low-pass filter and 50% more megapixels is hard to ignore, the build quality is slightly better, and surprisingly it's the equal of the A7 in terms of noise. Choices, choices. The A7 unfortunately inherits most of the A7R's flaws, most notably the still slightly sluggish auto-focusing, poor battery life and in-camera charging, the quieter yet still rather loud shutter release, and the limited number of FE lenses on launch. The A7's more modest 24 megapixel sensor provides excellent results from ISO 50-1600 for both JPG and RAW images, with noise starting to become apparent at ISO 3200 and 6400, and even ISO 12,800 and 25,600 are OK for emergency use. The A7's sensor and the fast Carl Zeiss 55mm f/1.8 lens that we tested it with feel perfectly balanced together, hitting the sweet spot between portability and image quality, and it's hard to resist the lure of shooting wide-open at f/1.8 in combination with such a big sensor. In terms of operational speed and all-round performance, the A7 delivers on most counts. Shutter lag is only notable by its apparent absence, and image processing times are slightly faster than the A7R thanks to the smaller Raw files that the A7 produces. This camera really does deliver DSLR-like performance and image quality in a pocketable format, music to the ears of most enthusiasts, while the hybrid AF system, although not able to rival the best DSLRs and CSCs, is at least marginally faster than the more sluggish A7R. In terms of value-for-money, the Sony A7 is something of a steal, being roughly equal to the cheaper full-frame DSLR models from Canon (the 6D) and Nikon (the D610), and not being too much more expensive than top-of-the range compact system cameras like the Olympus OM-D E-M1 and the Panasonic Lumix DMC-GH3. 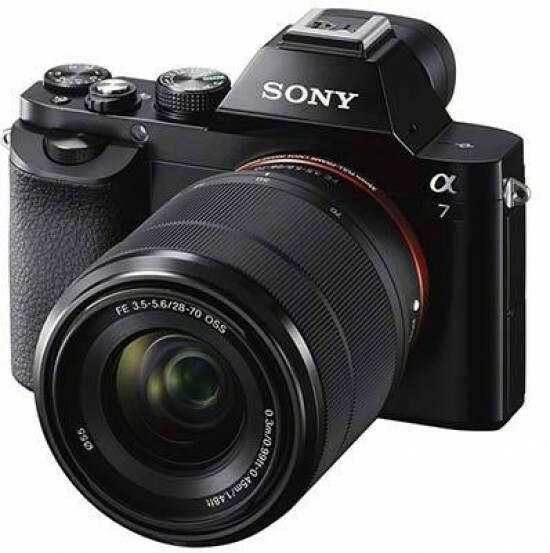 If Sony had only released one A7 camera, rather than two, then the A7 rather than the A7R would probably have been the sensible choice to bring to market. As it stands, though, Sony have made two outstanding cameras that will suit different users - you just have the very difficult task of deciding which one best suits you!